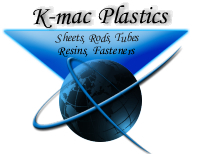 Cellulose acetate film is recommended for printed applications that require superior clarity. Acetate film can easily be die cut, laminated, embossed, and it complements reversed screen printed applications. 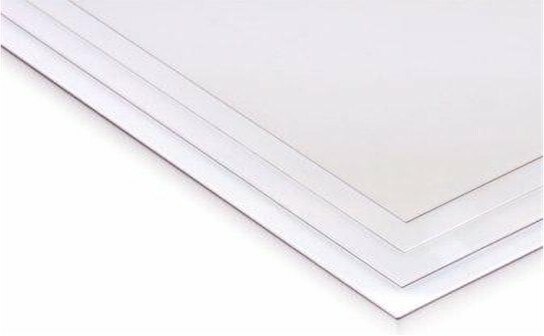 Clear Extruded Acetate Sheets Standard tolerances estimated at +/-.010 thickness. NOTE: Standard tolerances estimated at +/-.010 thickness. Cellulose Acetate Butyrate (CAB) material has high impact resistance, proven U.V. weatherability, excellent chemical and forming characteristics. An excellent material to be used when products are exposed to a demanding environment. CAB Plastic Sheet is used here for this golf tee console sign. It is UV stable and can withstand harsh outdoor conditions. NOTE: Standard tolerances estimated at +/- .010 thickness. CAB is used for the windows of this horse trailer due to its excellent chemical resistance. NOTE: Standard tolerances estimated at +/- .010. 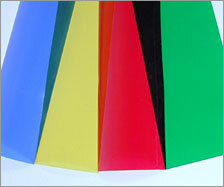 Extruded Acetate Sheets-Colors Standard tolerances estimated at +/-.010 thickness.